At about 12.30 am on Sunday 1st January, 1911 Constable Jones and Senior Constable Barclay were escorting a prisoner to the local watch house, when they were attacked by two men, one of whom was the prisoner’s brother. In the course of this attack Jones was struck on the head by a beer bottle thrown with such force that his skull was badly fractured. Although receiving medical attention almost immediately, his doctors later stated they could not have prevented his death because of the massive injuries he had received. A local man was charged with the murder, and presented for trial, but the jury were discharged, being unable to agree upon a verdict. The accused was again presented for trial and on the subsequent occasion was found “not guilty”. Constable Collins died at Golden Square on Tuesday the 10th January 1911, from ulceration of the bowels. About four and a half years before his death he had been kicked in the stomach whilst attempting to arrest a man at Prahran. As a result of the injuries this caused he was admitted to the Police Hospital where he remained for some time before eventually resuming duty. However he later began to suffer from internal pains, and it was found that a growth had developed. This burst the day before his death, and his doctors were unable to save him. On Friday, 8th December 1911, a group of Camperdown residents took members of the Police Band to Lake Elingamite for a picnic, in appreciation for the band members performance at a local carnival the day before. Amongst those bandsmen who attended were Constables Ogilvie and Riddle. Their transport to and from the lake was provided in Mr. Manifold’s Rolls Royce motor car, and on the return trip one of the cars front wheels collapsed, causing the vehicle to overturn. Riddle and Ogilvie were both admitted to a local hospital suffering serious injuries, and both died within days as a result of other conditions supervening on those injuries. On Friday, 8th December 1911, a group of Camperdown residents took members of the Police Band to Lake Elingamite for a picnic, in appreciation for the band members performance at a local carnival the day before. Amongst those bandsmen who attended were Constables Riddle and Ogilvie. Their transport to and from the lake was provided in Mr. Manifold’s Rolls Royce motor car, and on the return trip one of the cars front wheels collapsed, causing the vehicle to overturn. Riddle and Ogilvie were both admitted to a local hospital suffering serious injuries, and both died within days as a result of other conditions supervening on those injuries. At about 9.30 a.m. on 6th April 1912, Constable Crimmin was riding along O’Callaghans Parade, Horsham. He was on his way to Greens Park to serve a summons when he saw a cyclist riding along the footpath. He turned his horse in an apparent bid to follow this person, but as the horse cantered along it suddenly leaped forward and Crimmin, who had been riding on a tight rein, was pulled from the saddle and crashed headlong to the roadway. He died in hospital at 12.40 p.m. the same day, never having regained consciousness. In the early hours of Tuesday, 1st October, 1915 Constable McGrath and other police went to the Trades Hall in Lygon Street, Carlton in answer to a report and a burglary was in progress. The policemen entered the building, and found that an attempt had been made to open a safe. McGrath then confronted two offenders in a passage-way, one of whom fired a number of shots which fatally wounded the Constable. The offender was later arrested at the scene after further shots had been fired. 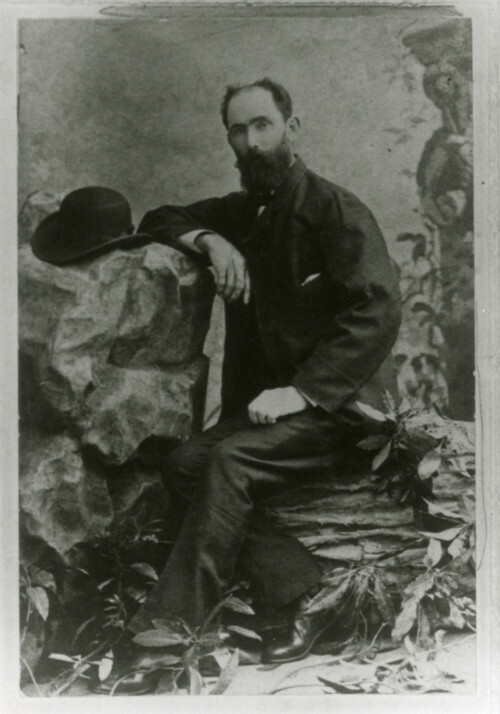 John Jackson, the man who fired the fatal shot, was convicted of McGrath’s murder, and was hanged at the Old Melbourne Jail. 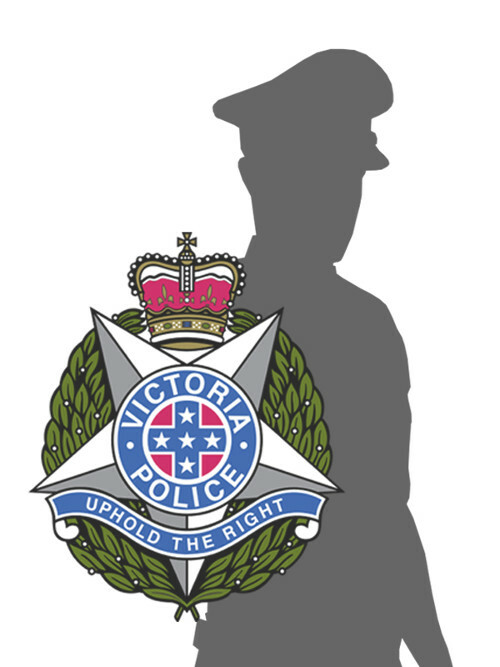 He was the last person in Victoria to be executed for the murder of a policeman. 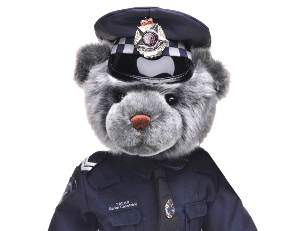 At about 4.15 p.m. on Tuesday, 24th October 1916, Senior Constable Tennant was a passenger in a Ford motor car which was being driven along the Dalyston Road, Kilcunda. At that time the vehicle developed a steering fault, ran off the road and overturned, crushing and killing the Constable. The car had been hired from the Powlett Hotel, Wonthaggi, to take Tennant to Kernot to make enquiries and was on the return journey when the accident happened. At about 7 p.m. on Saturday, 25th November 1916, Constable McInnes, in company with other mounted police, was riding along Spring Street, Melbourne having spent the day on duty at Flemington Races. Whilst in Spring Street his horse shied and then bolted, and at a point opposite the Old Treasury Buildings he fell head first from the saddle and received a fractured skull. He was removed to the Alfred Hospital but died two hours later. The horse he had been riding at this time had a bad reputation, and it was said it would “gallop at the sight of a covered wagon” and had “no mouth”. McInnes was also regarded as an indifferent rider, and this combination obviously contributed greatly to his death.